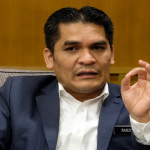 PUTRAJAYA: There are many lessons to be learnt from the financial problems and scandals faced by government-linked companies where accountancy firms and the accountancy fraternity as such is concerned, said Deputy Economic Affairs Minister Dr Mohd Radzi Md Jidin. “There are so many cases…I don’t want to mention any, as people will start to ask where were the auditors” he said. Speaking to reporters after attending a productivity dialogue with the accountancy fraternity here today, Mohd Radzi said it was time for the issues to be looked at holistically and to start afresh. He said accountancy firms in Malaysia should increasing productivity and offer high quality services through technology adoption. “Accountancy firms need to look at the use of technology so that some tasks can be done quickly and more time is spent on doing analysis and judgements,” he added. Lessons to be learnt from financial problems of many GLCs 0 out of 5 based on 0 ratings. 0 user reviews.